When strolling in the enchanted woods, remember to wear the Rudolf Canvas Cloak. An elf or forester should never be without cover when quietly stalking their prey. 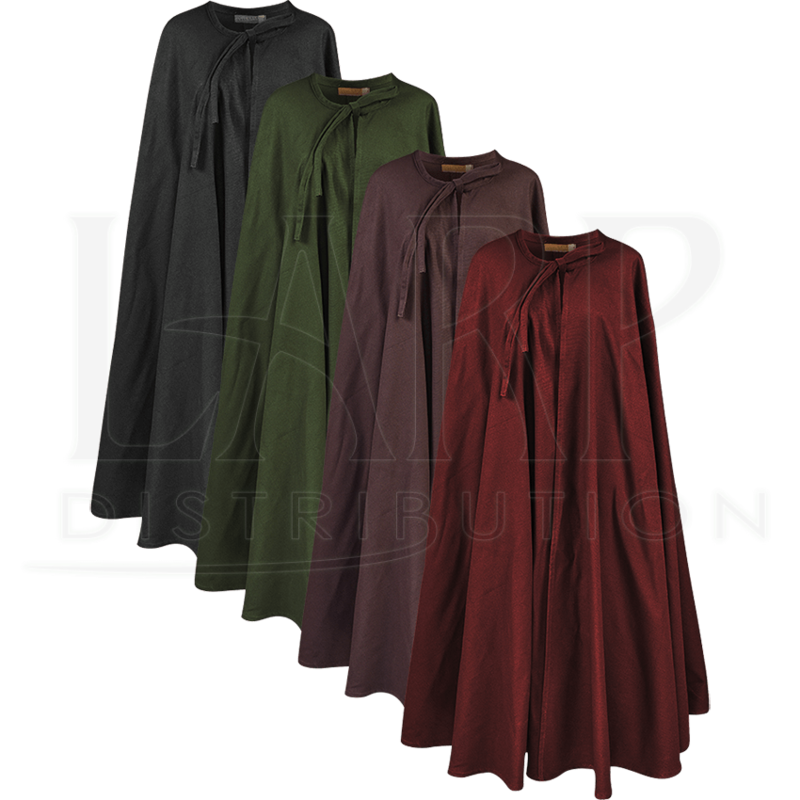 Available in four colors, this unisex cloak closes with ties at the neckline. Conceal your weapons, treasures, or important parcels underneath its wide cut cover. 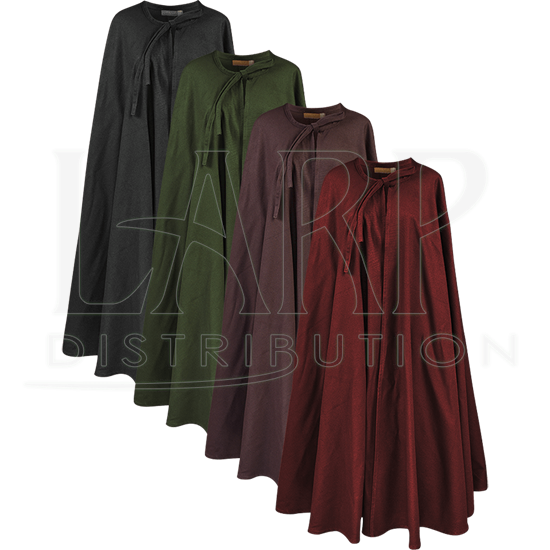 This cotton canvas medieval cloak is ideal for adding a mysterious flair for a LARP event, medieval faire, or fantasy convention.